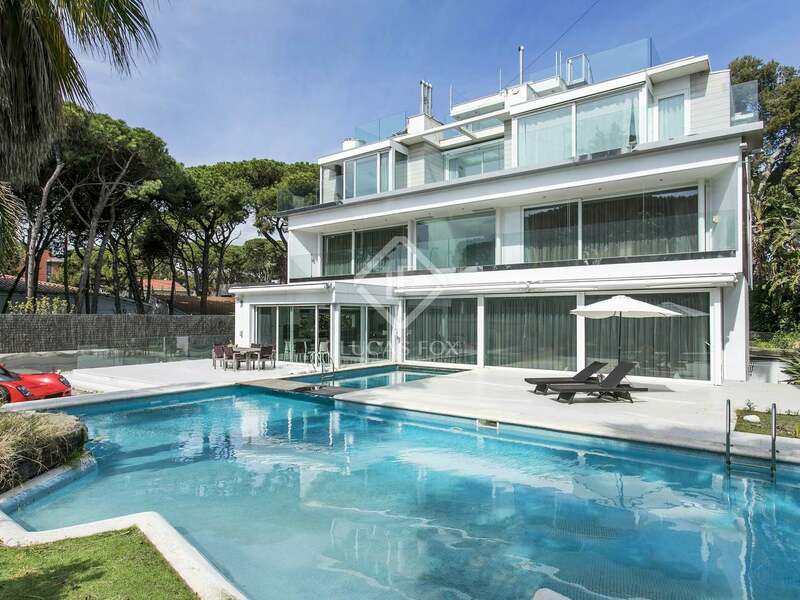 Modern 7-bedroom, 7-bathroom mansion with a beautiful swimming pool for sale in Castelldefels, walking distance to the beach and amenities. 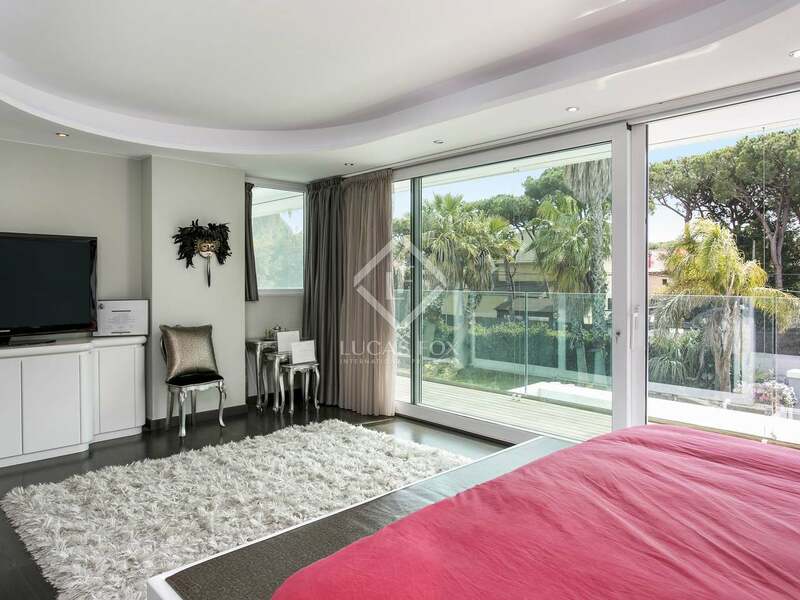 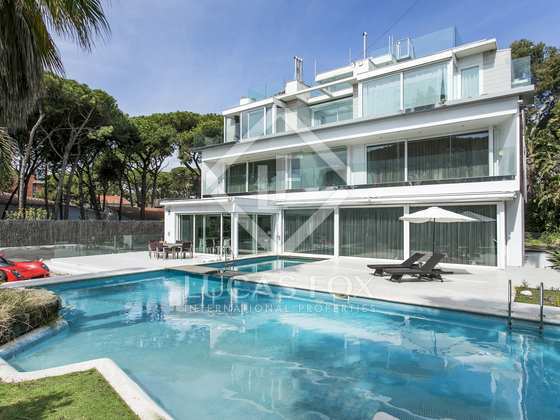 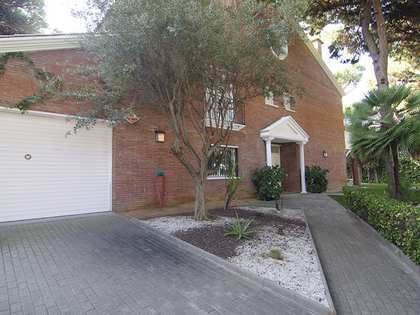 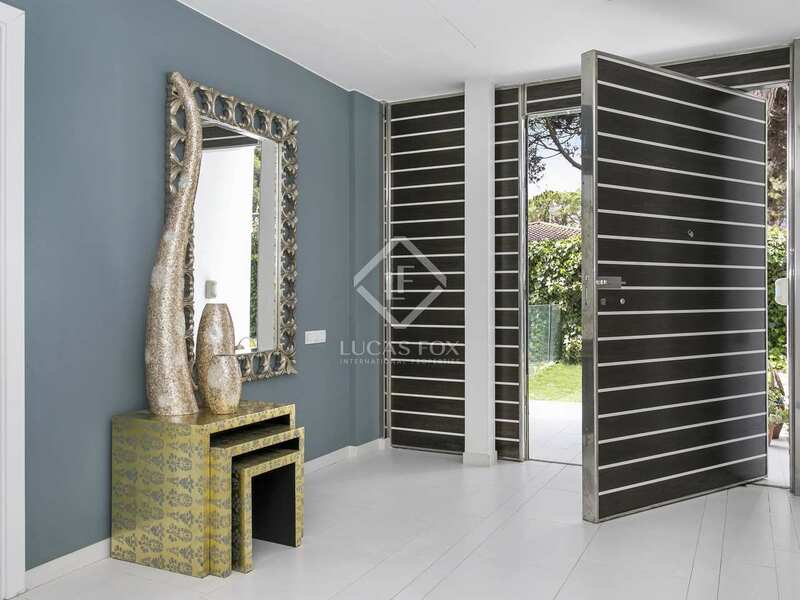 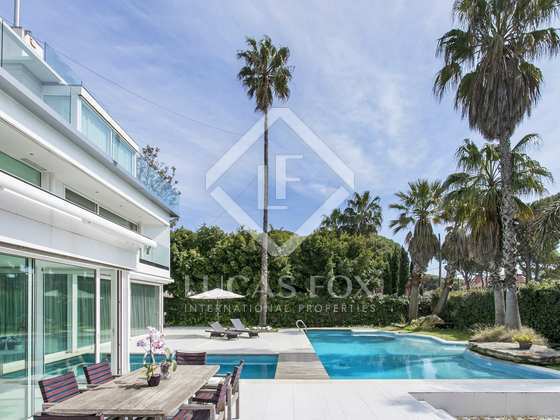 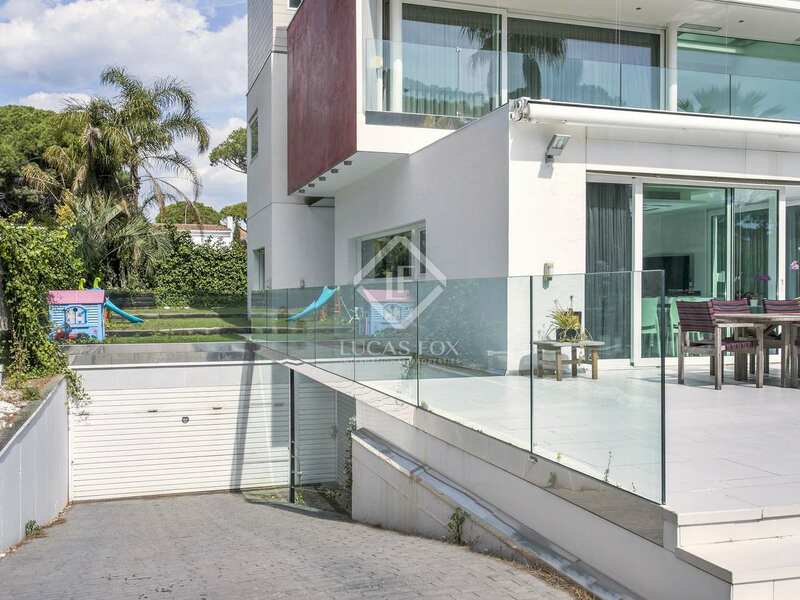 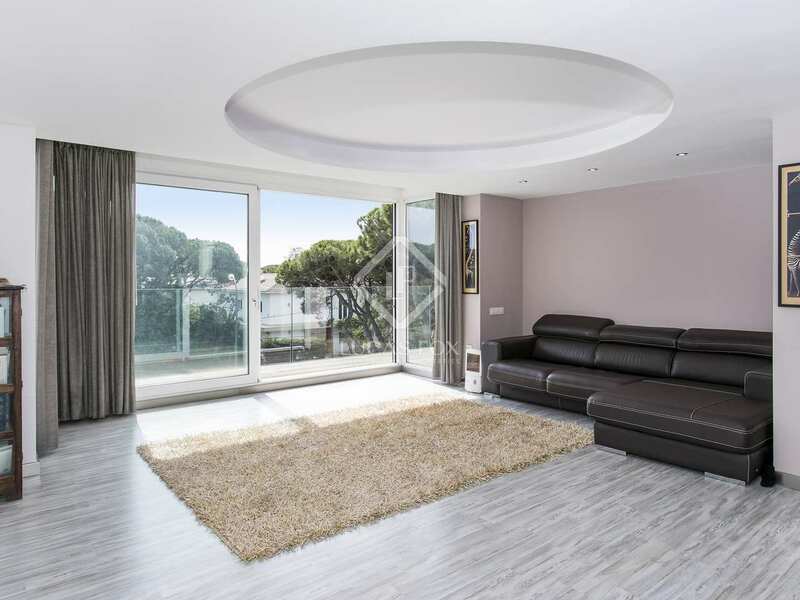 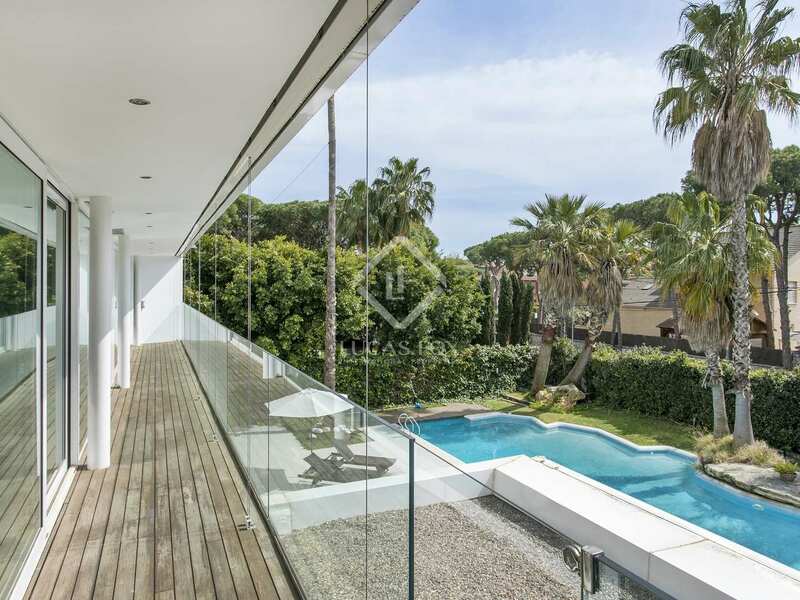 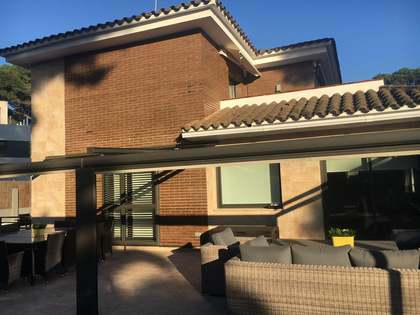 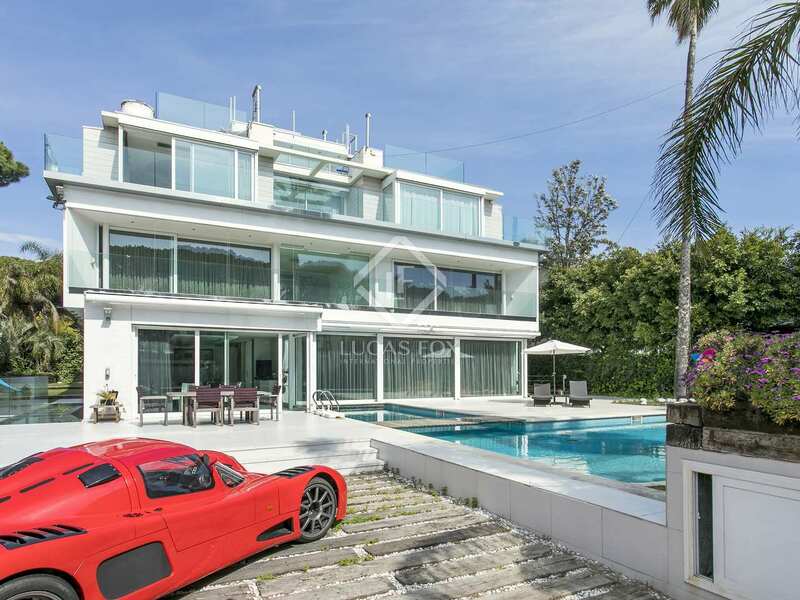 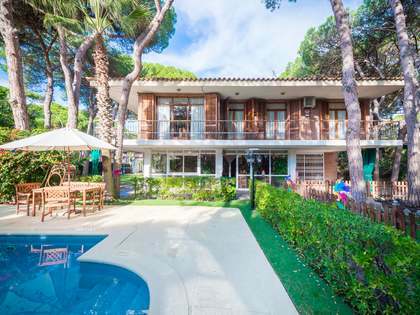 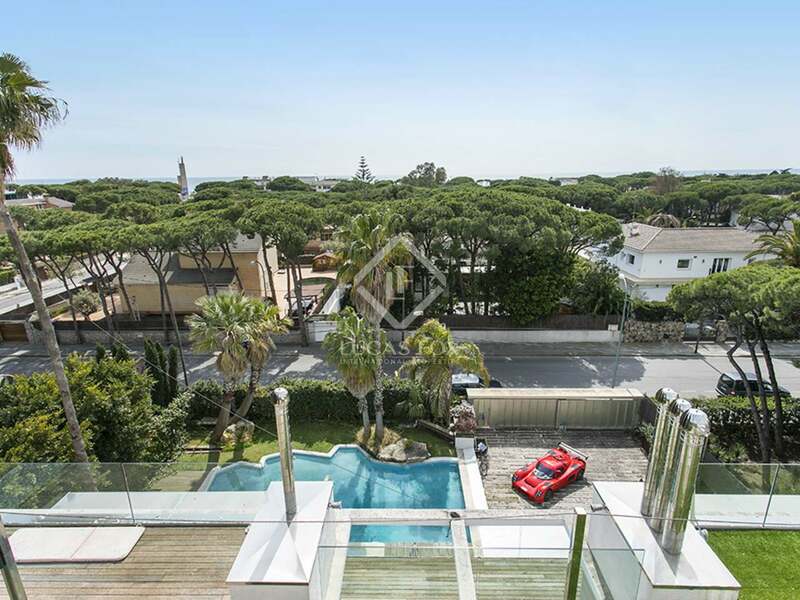 On one of the most affluent streets in Castelldefels, walking distance to the beach and all amenities, we find this luxury mansion for sale which was built in 2009 and has 7 bedrooms and 7 bathrooms. 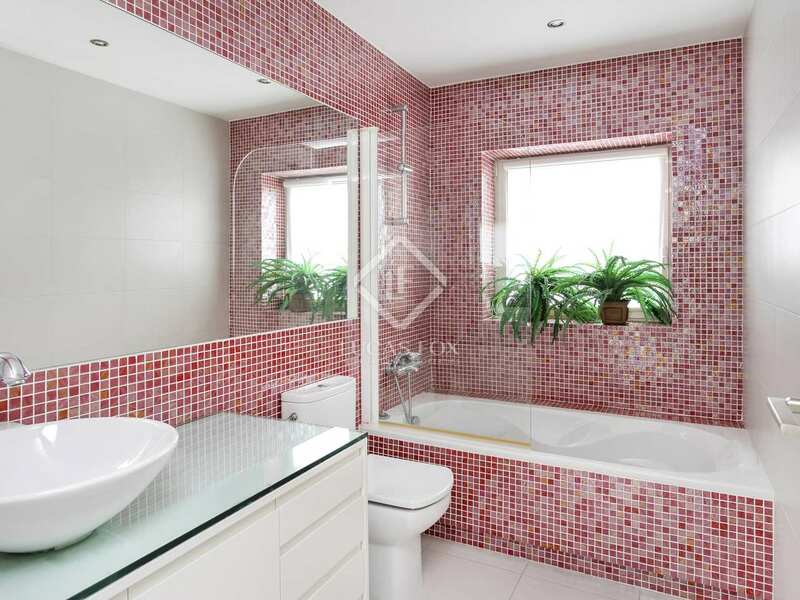 This excellent family home is on a large, south-facing plot, bathed in sunlight all day long. 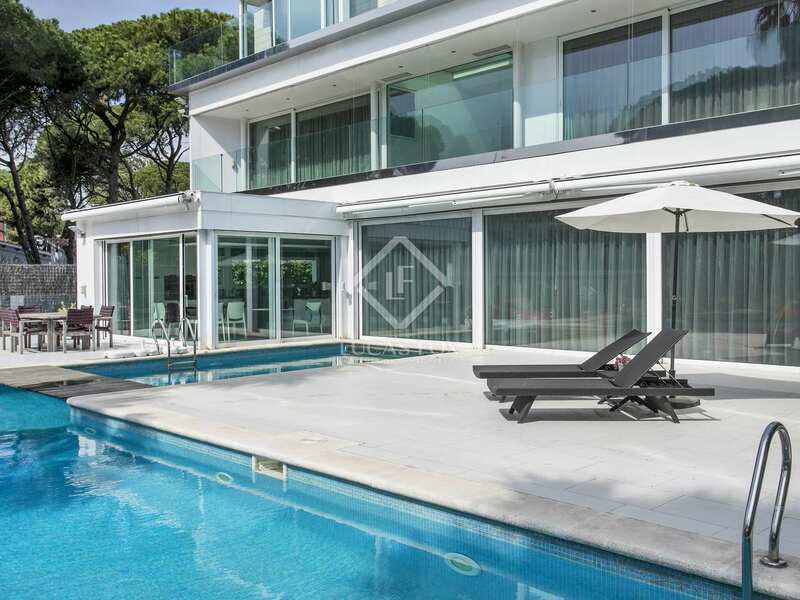 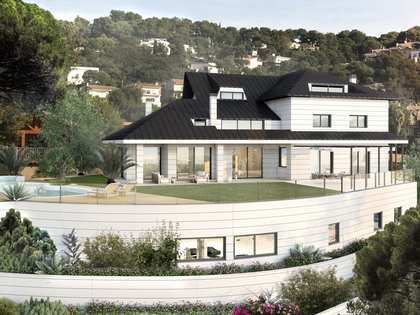 To the front of the house we find a spacious, flat terrace with a particularly large, designer swimming pool and the rooftop terrace provides panoramic sea views, overlooking the pine trees in the surroundings. 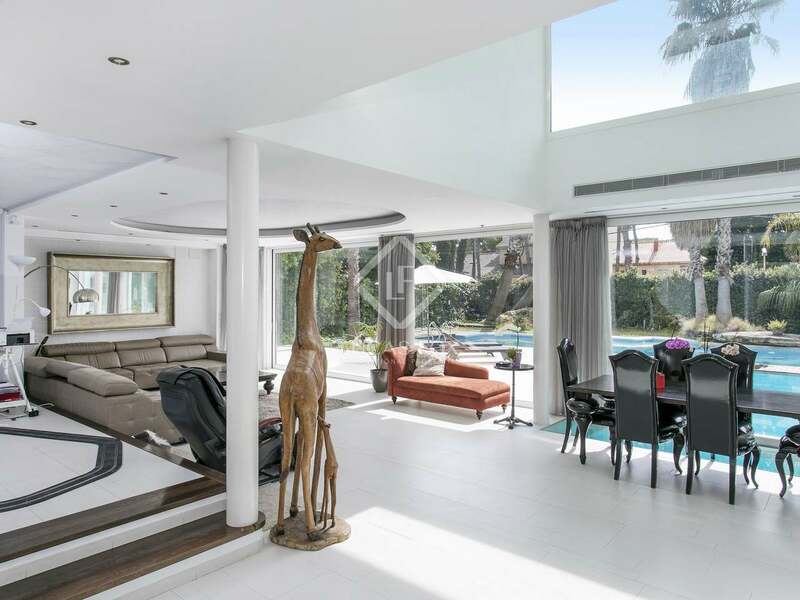 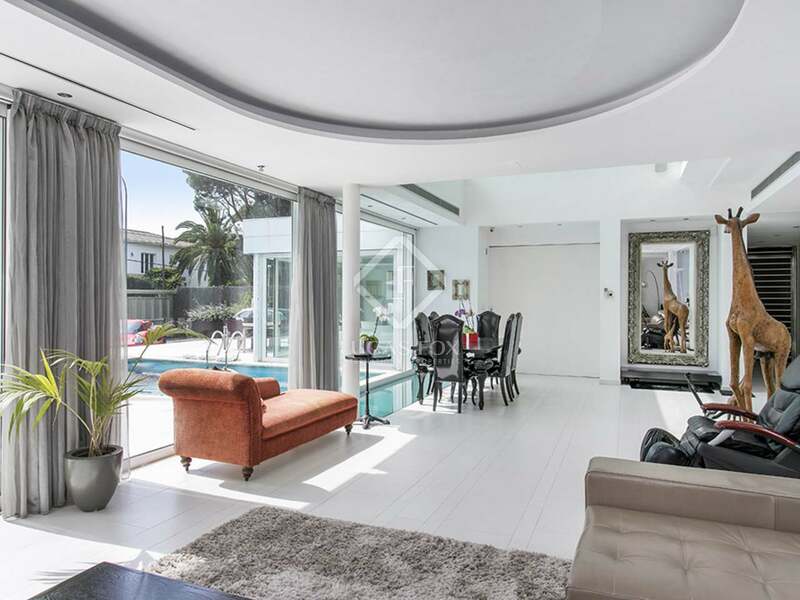 The main floor of this stunning modern home opens up to reveal a large, open-plan living and dining area with direct access to the terrace and pool. 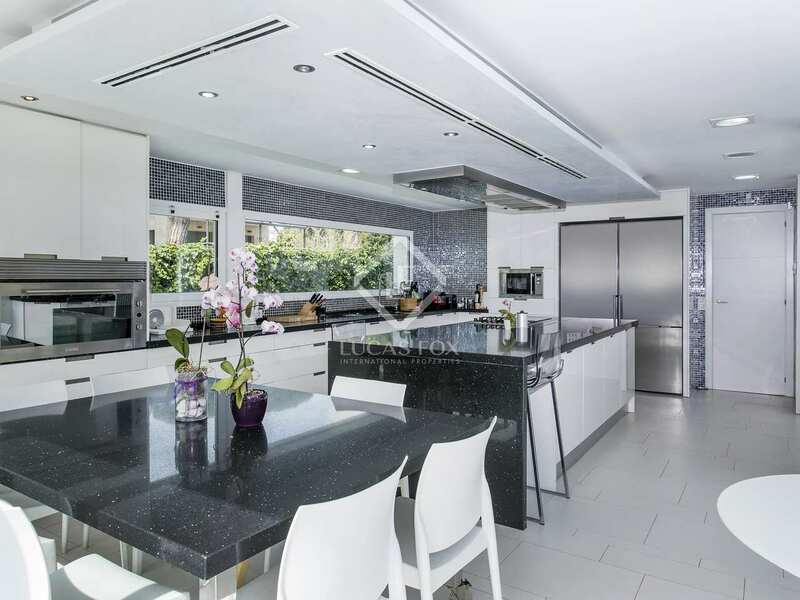 The spacious kitchen diner also enjoys access to a terrace. 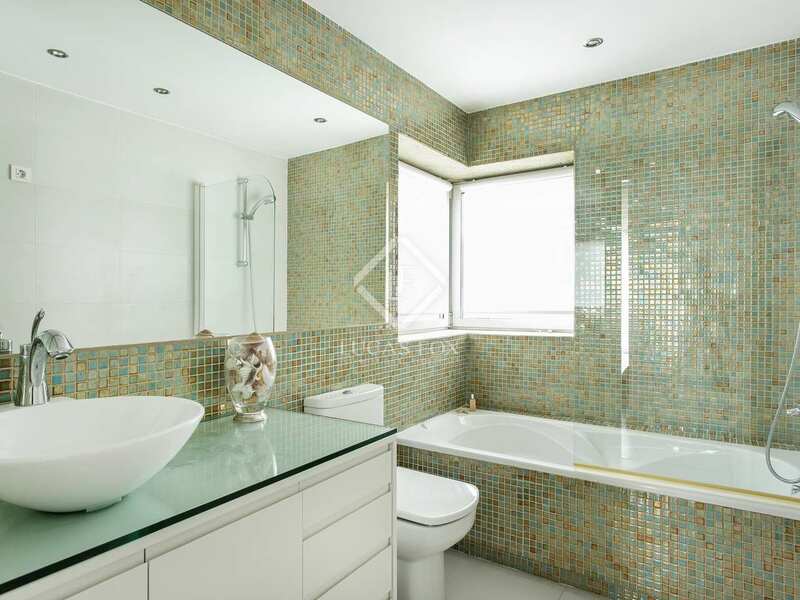 A double bedroom with an en-suite bathroom completes this floor. 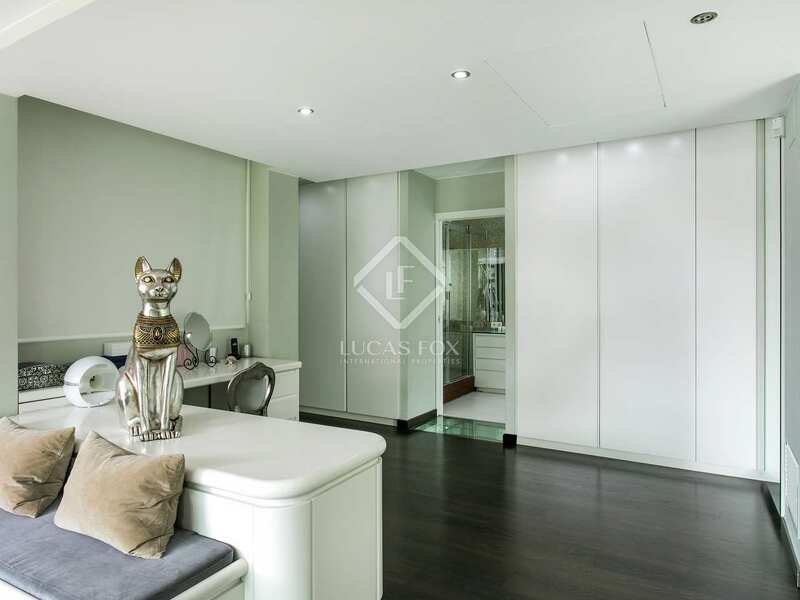 The first floor houses 2 en-suite double bedrooms, one with a terrace, and the master bedroom with its walk-in wardrobe, en-suite bathroom and terrace. 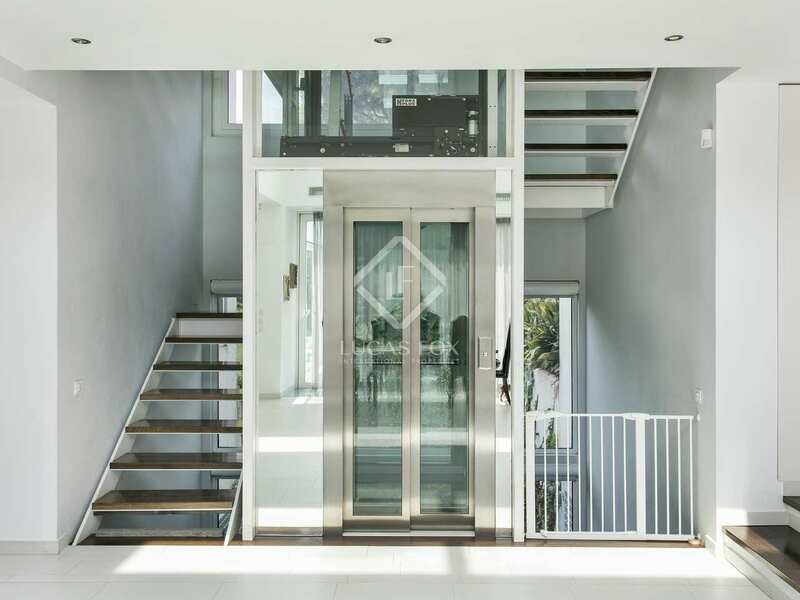 The second floor has 2 suites, one with 2 bedrooms, a lounge, bathroom and terrace, and the other with a bedroom, lounge and bathroom. 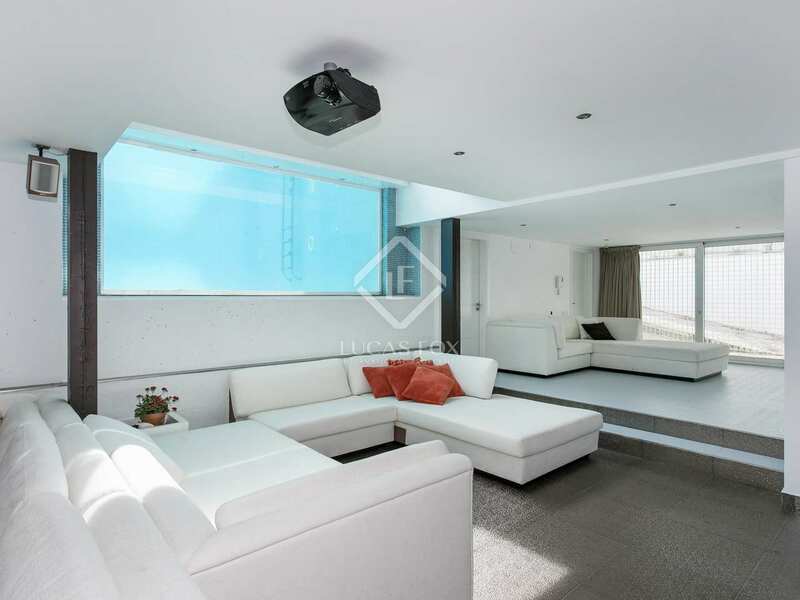 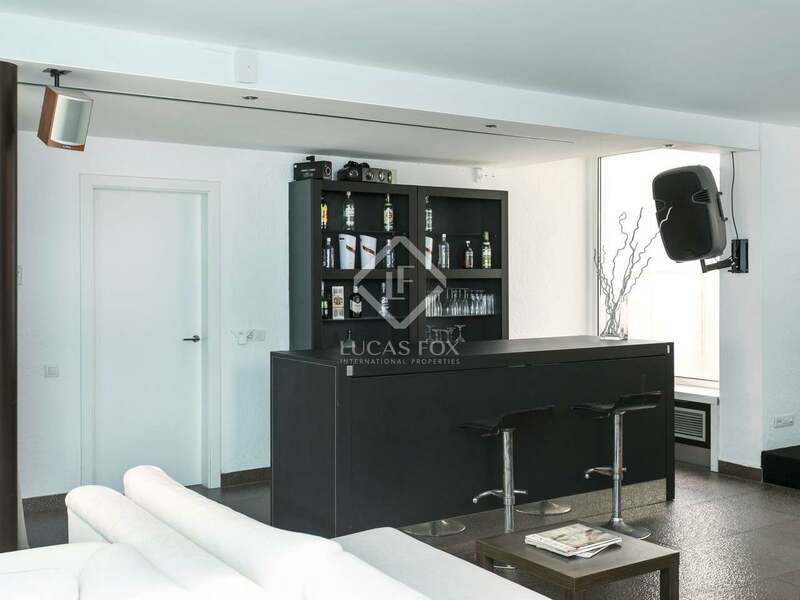 Parking for up to 6 cars is provided in the garage on the lower ground floor, where we also find a storage area, a guest or staff apartment and an extraordinary chill out area with a bar and an underwater glass wall looking into the swimming pool. 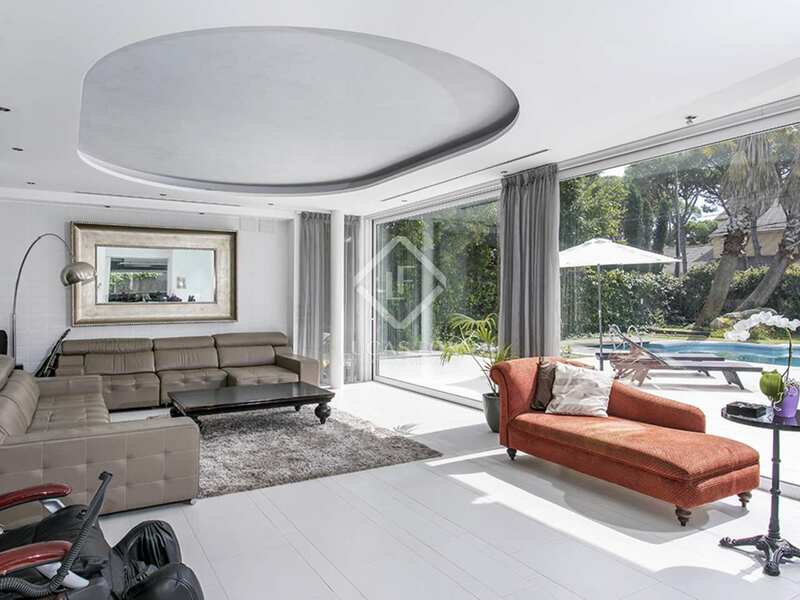 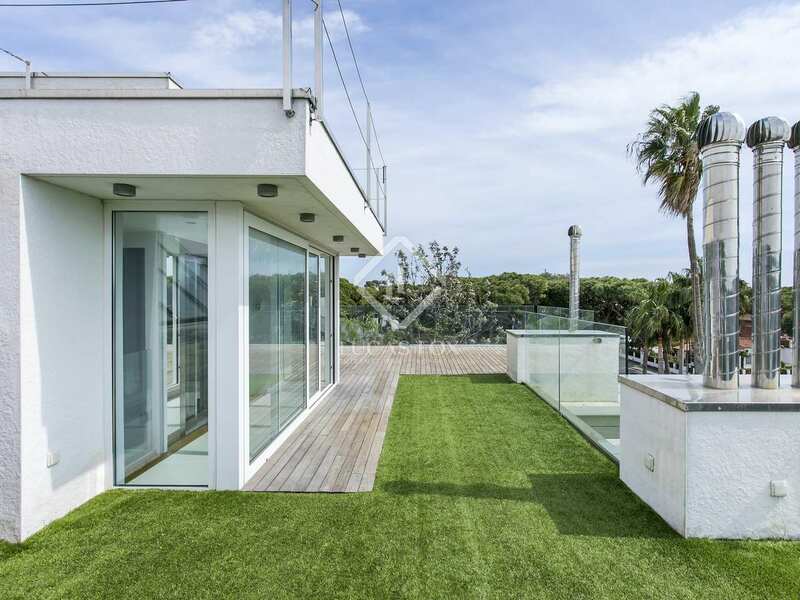 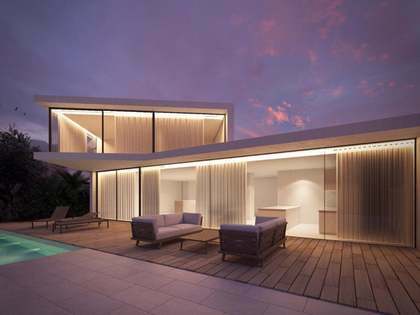 A golden opportunity to acquire one of the largest, contemporary-design luxury homes currently on the market in Castelldefels. 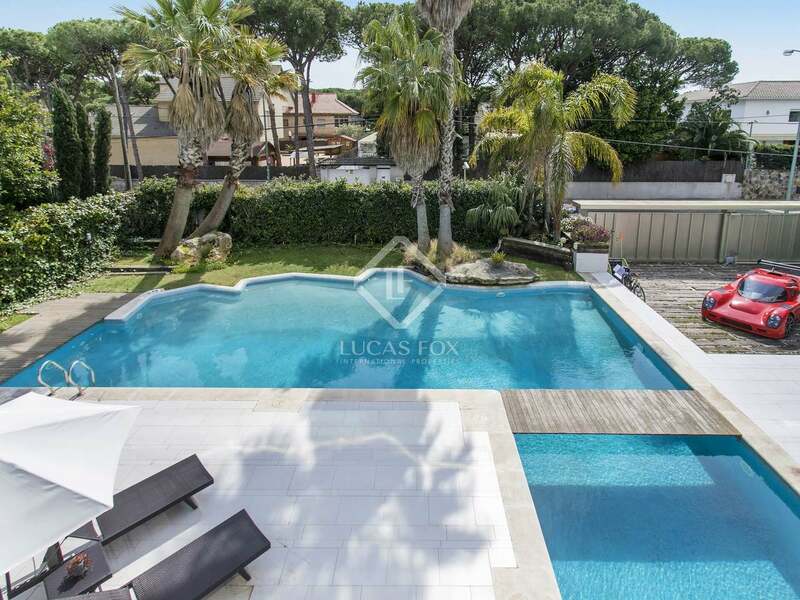 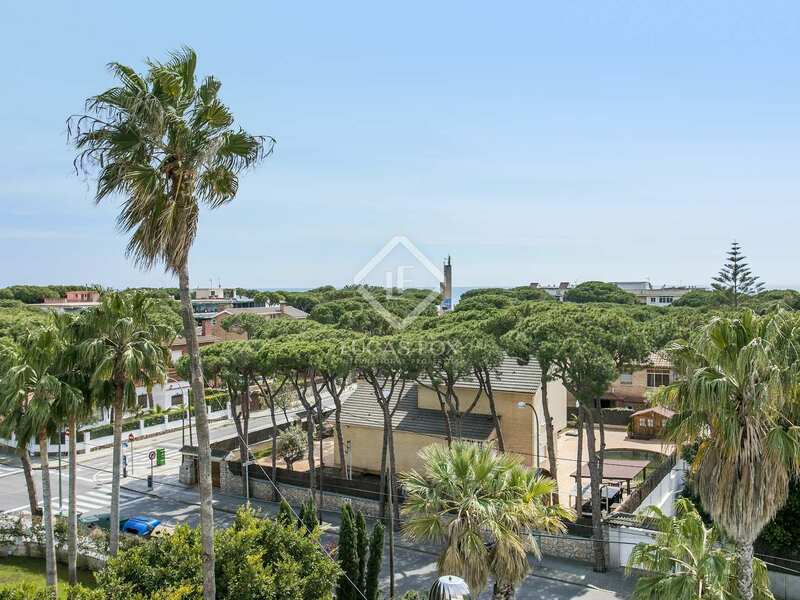 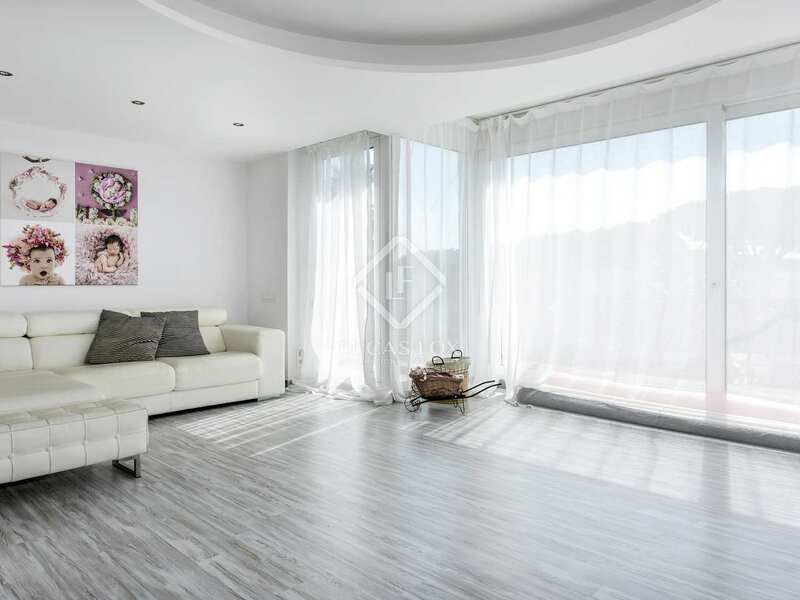 This large, high-end home is located on one of the best streets in Castelldefels, close to all amenities and walking distance to the beach.